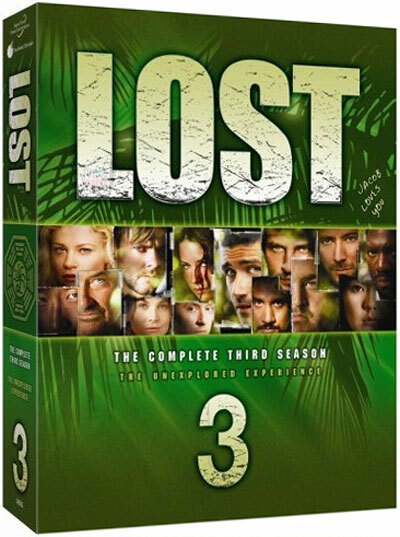 We have just gotten word about the Season 3 box set DVDs. For all of you who constantly complain about the fourth season of our favorite show not being broadcast until February 2008, we'll have to wait just for six months until this bad boy of DVDs comes out. They have set the current release date for "Lost - The Unexplored Third Season" for December 11th. Of course, this doesn't exactly mean that it will come out on December 11th, given last year's Season 2 DVD date switch-around. Anyway, it looks like it's going to be a boring hiatus, in my opinion. Really, the only thing that we have to look forward to now is the release of the (supposed) video game.